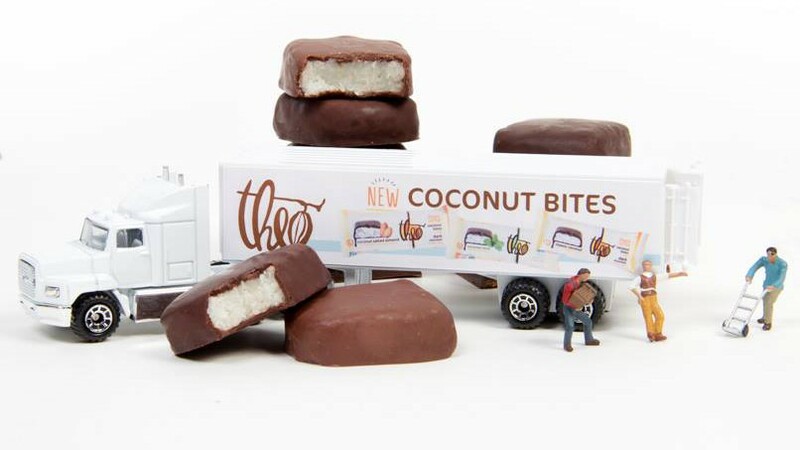 Theo Chocolate of Seattle, Washington recently introduced Coconut Bites: three distinct types of sweet and chewy coconut bars that seem to be the Pacific northwest’s answer to the sibling duo (Almond Joy and Mounds bars by Hershey) that originated in the northeast. Talk about taking something from good to great. That’s Theo Chocolate. 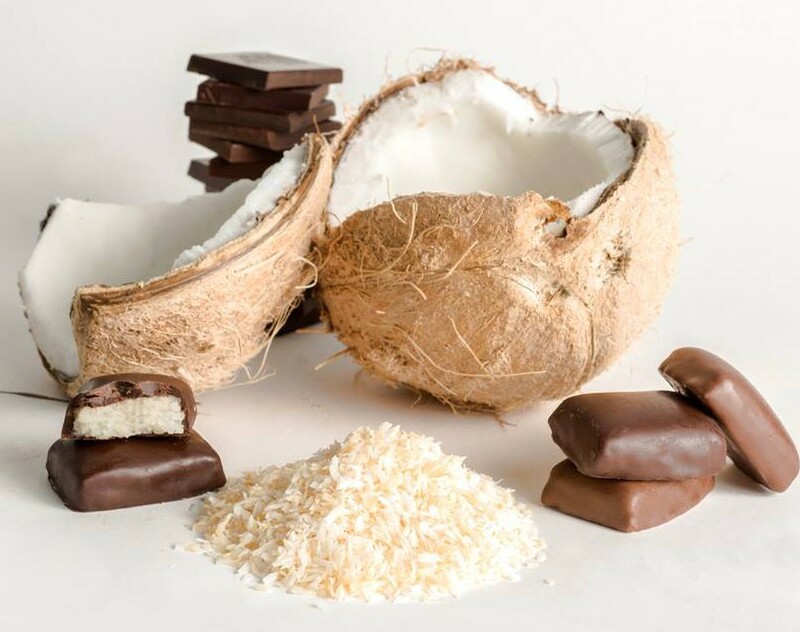 Last year the organic fair-trade certified company did it with the rollout of peanut butter cups made with CB’s Nuts Peanut Butter and their own homemade chocolate and this year the Seattle chocolate maker combined coconut and chocolate to create Coconut Bites. Dark Chocolate Classic Coconut: Sweet and chewy coconut enrobed in dark chocolate for the purist who knows that coconut and dark chocolate are meant to be together. Dark Chocolate Salted Almond: Sweet and chewy coconut with nutty, crunchy almonds and a touch of sea salt enrobed in dark chocolate. This bar takes the best attributes of the competition (coconut, almonds, and dark chocolate) to make an unbeatable bar. Milk Chocolate Coconut Mint: Sweet and chewy coconut with cool mint enrobed in creamy milk chocolate. A modern twist with the addition of mint for those who also prefer milk chocolate. All three Coconut Bites are gluten-free, soy-free, and kosher. Two choices (Dark Chocolate Classic Coconut and Dark Chocolate Salted Almond) are vegan. The bites come two to a package (1.3 ounces) and sell for about $2 (although this week the Coconut Bites are on sale for $1.69 at Whole Foods Markets nationwide) or order on-line through the company’s website: www.theochocolate.com.